If you and your family are fortunate to have dental coverage with United Concordia Dental, then Williamsburg Dental is pleased to let you know that we are an in-network provider. This means that we offer you outstanding dentistry as well as services provided at a set fee. Williamsburg Dental is now the United Concordia Dental dentist in Lincoln than you can turn to for quality care that is also affordable. If your United Concordia Dental coverage is through your employer, then you chose from either a Dental Health Maintenance Organization (DHMO)or Preferred Provider Organization (PPO)plan. The PPO plan covers a range of services that require you to pay a percentage of the cost of the service, which is known as the coinsurance. Preventive care such as dental checkups often does not have a coinsurance payment. The plan usually comes with a maximum that can be paid out annually, and most plans have a deductible that must be fulfilled before the plan begins to pay for any dental care. A DHMO also covers many services but emphasizes preventive dentistry. There is usually a copayment amount for each service, but there often is no copayment for preventive care. The DHMO plan does not have a maximum or deductible, but you must visit a Concordia Plus general dentist like those at Williamsburg Dental, Williamsburg Village Dental, Northeast Family Dental and East Lincoln Dental. As mentioned above, coverage for preventive dental services usually does not include any out-of-pocket expense. Like your dentist in Lincoln, the folks at United Concordia Dental know that prevention is key to maintaining good oral health. That’s why they fully support your dentist’s practice of encouraging everyone to have at least two preventive dental checkups every year. At these regularly scheduled visits for all the members of your family, the dentist and hygienist will take steps to ensure you don’t have any serious dental problems. The dental cleaning that leaves your mouth feeling refreshed also removes plaque and bits of tartar that could eventually lead to periodontal disease. We’ll also take digital x-rays once a year to find spots of tooth decay that could not otherwise be seen with only a visual inspection. Simply by preventing cavities and gum disease, your Lincoln dentist is largely able to ensure your continued dental and oral health. 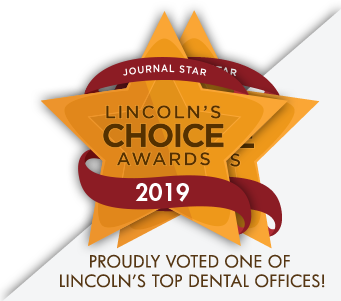 Call your United Concordia Dental dentist in Lincoln today!